We all have to remember one or more passwords to get online and get things done. Using the same password for every account is a very bad idea. You also don’t want your passwords to be easy to remember or steal. 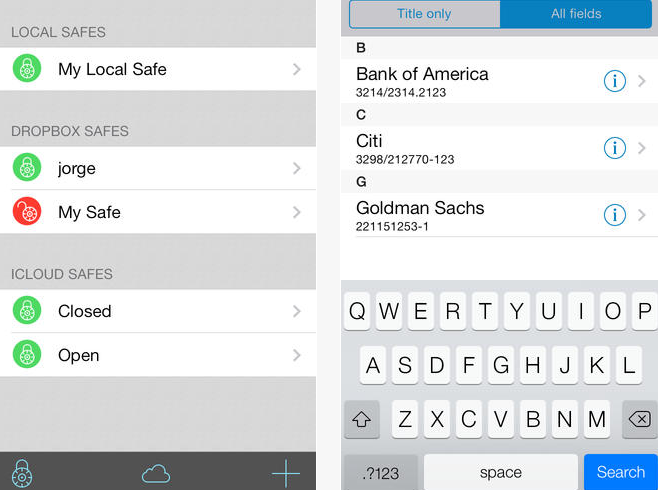 pwSafe for iPhone is one of many tools you can use to keep track of your passwords across your devices. 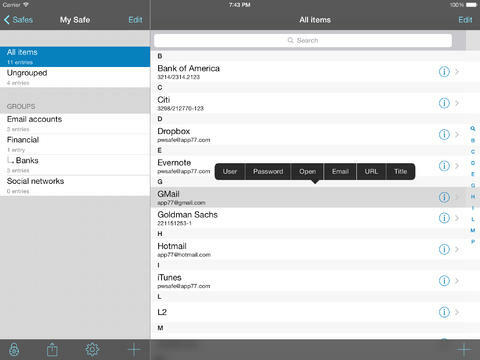 pwSafe uses iCloud or Dropbox to keep your password databases secure. pwSafe borrows all its encryption code from the Password Safe password manager. pwSafe lets you organize your items in groups. You can tilt your device face down to switch between usernames and passwords. 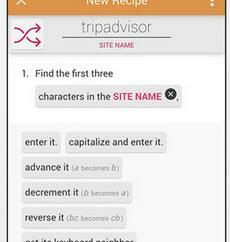 The app is designed to be compatible with Password Safe. You can have multiple safe and unlimited passwords. You get multiple fields and the ability to search all fields. iCloud sync and Dropbox sync (real-time and bi-directional) are available. You can even open safes as an e-mail attachment. The app can keep track of your password history too. pwSafe is designed for those of you who have too many long passwords to remember and want to keep your password database safe and protected on your phone. You can try the app for $2.99 at the time of this writing.